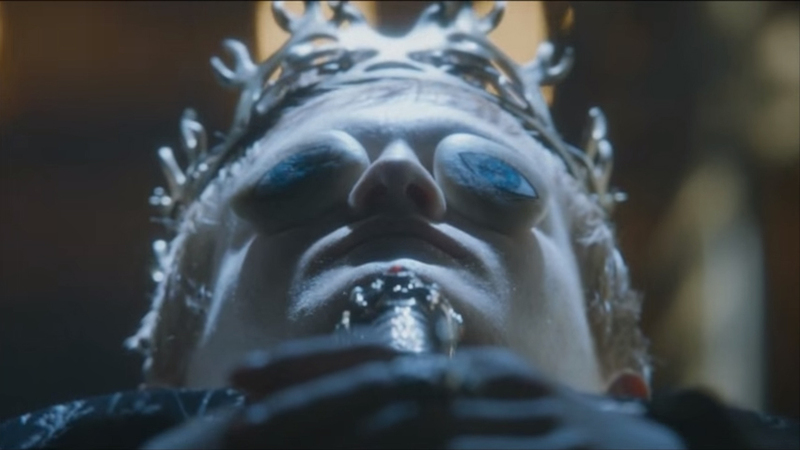 Game of Thrones returned to HBO this month (no spoiler alerts). It’s one of our family’s favorite shows — and of course, much of the central conflict emerges from the quest for the Iron Throne. 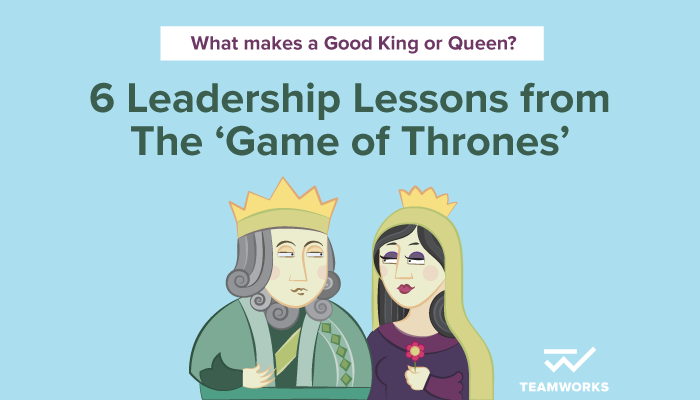 So what can we learn from a fictional show about leadership? Everything. Staying tuned into the story line involves understanding a lot of family structures, hierarchies, leadership flows, and yes, kings. Even though the focus of Game of Thrones is hardly modern-day leadership — it depicts a fictional time and place — it often makes me think about issues I see amongst today’s modern leaders. Click to watch the ‘Game of Thrones’ – What makes a good king? There can be much said about what makes a person either “good” or bad”. Moral judgments aside, to be a successful leader, you need to possess a slew of important attributes. Chief among them include: Courage, Heart, Passion and Determination. Those words are all somewhat synonyms, but they reflect differently in different situations. A good leader does one thing above all: he/she will rule in the best interests of the kingdom. Let’s take a closer look at how this translates to the modern office environment. Some leaders believe organizational breakthroughs can only occur at the senior ranks — i.e. with the people who have the most experience. While that is often true, it’s not universally true by any means. GMail, arguably one of Google’s flagship services and certainly one of its greatest inventions in its history, came from the middle ranks of the organization. There are golden ideas — and yes, some bad ones too — all throughout your organization. Good leaders realize this and listen (or develop systems and processes to create more effective listening) in order to tap those ideas into business outcomes. One of the biggest areas that can impede the success of an organization is the lack of alignment between strategy (defined by top levels of management) and execution (the day-to-day tasks of everyone else). This is usually a result of a lack of clear purpose (the day-to-day workers don’t understand how their tasks connect back to the company’s goals) and employee empowerment. Oftentimes middle management doesn’t have true decision-making authority to act/move on an idea or goal. They have to wait for approval up the chain. This slows down decision-making — and if your competitors have a better system for getting ideas and products to their customers, it ultimately hurts your bottom line. Good Kings and Queens empower their Knights to act without explicit approval so long as they’re operating in the best interests of the kingdom. It never serves a King or Queen well when members of their kingdom are enfeebled. There are numerous research studies on the impact of toxic employees, but a good leader realizes that a “bad” employee is usually a person with a specific skill set who’s been placed in the wrong fit. As a leader, it is the responsibility of the King/Queen to help everyone be their best. This means ensuring that you have the right people, in the right roles, at the right time. Not every decision a leader makes is easy — in fact, the majority are usually very hard. Growing a company requires sacrifices and concessions you never dreamed of when you started the process. The important thing is to never lose sight of the focus: the best interests of the entire kingdom. That doesn’t mean you, or you and the queen, or you and your top lieutenants. It means the entire kingdom. Difficult decisions made for the entire kingdom’s good typically turn out OK; difficult decisions made for the good of just a few people typically lead to regression. While intrinsic motivation is certainly powerful, people also want tangible physical rewards (often in a monetary or ‘perk’ form). There can be a tendency in some organizations for only the top officials (those closest to the king/queen) to receive these rewards. This backfires when those knights and foot soldiers eventually set out to find a different kingdom to contribute to. Rewards must be shared, and the rationale for the rewards must be transparent to all. Good leaders understand that. It goes without saying that you can take any of the attributes and activities above, flip them on their head and call them the essence of a bad King/Queen. But, let’s take a moment to explore the most common mistakes modern leaders make that put them in this category. Self-focus: It’s often easy for people in middle management or on the front lines of your kingdom/organization to see a difference between what you say and what you do. If you preach togetherness, collaboration, and positivity … but then your actions and focus are all about you and you only, it creates a disconnect that is bad for your kingdom. The 3D Effect: I wish we were talking about a cool movie concept, but instead I mean; Directs, Dictates, and Demands. This is a classic sign of a bad King/Queen. Their leadership style is less about the actual goals and more about his/her specific pathway to the goals. Making people feel small: Bad kings don’t understand the concept of ‘accountability,’ confusing it instead with belittling others over small mistakes instead of attempting positive course-correction. Of course, in Game of Thrones this would involve some kind of beheading or punishment by death. Hopefully that’s not the case in your organization. What’s the verdict? Are you the fairest King/Queen in all the land, or are you trending toward a less than stellar reign? Here are three areas you can focus on if you’ve identified an opportunity for improvement. You want your profit to be healthy and wealthy. This refers to signs of growth, both in terms of financial metrics but also customer experience satisfaction. You want your planet to be successful — in short, you want to take care of the environment you live and work in. This takes different forms relative to the industry you’re in, but any profit-making organization has some responsibility back to the greater environmental good. The choice is yours, then: you can be the good King/Queen (and rule over a healthy, wealthy, and prosperous kingdom) or the bad King/Queen, where everyone is hopping on horses and fleeing for the north in hopes of finding a better kingdom. Which one will you be?